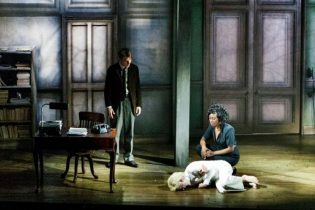 We constructed the entire set for this adaptation of Paul Auster’s novel, a metaphysical thriller previously considered impossible to stage. 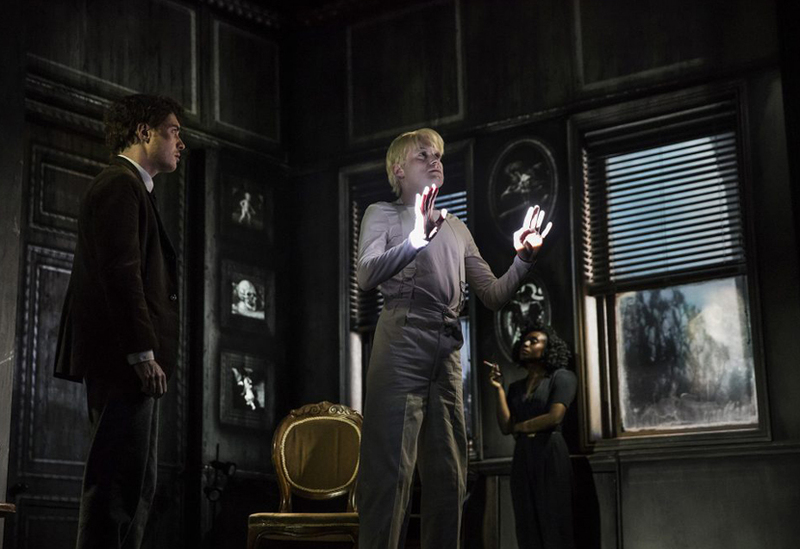 Video mapping and a volumetric lighting effect played a vital role in creating the ‘disembodied’ reality, crucial to the adaptation. 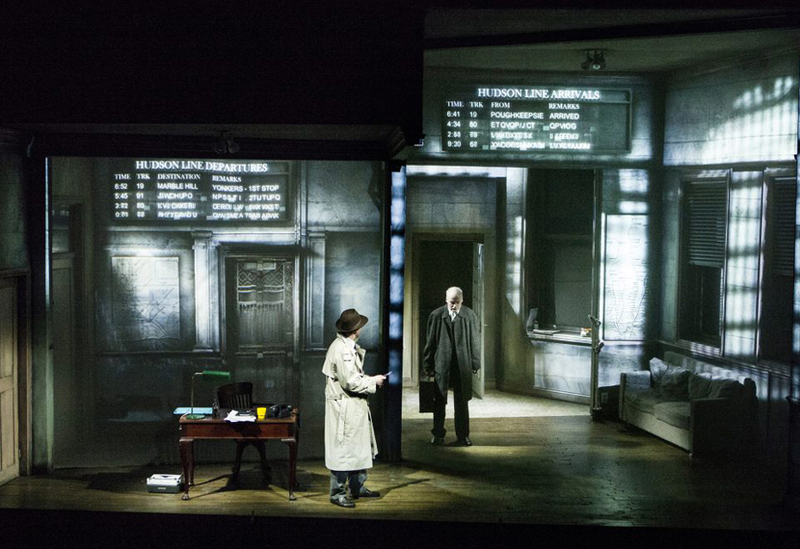 The set was designed and constructed to facilitate this technology. 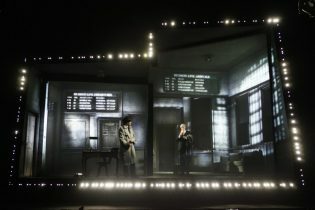 The set was a naturalistic rendering of a New York apartment complete with timber and canvas ceiling, doorways, windows and details such as architrave. 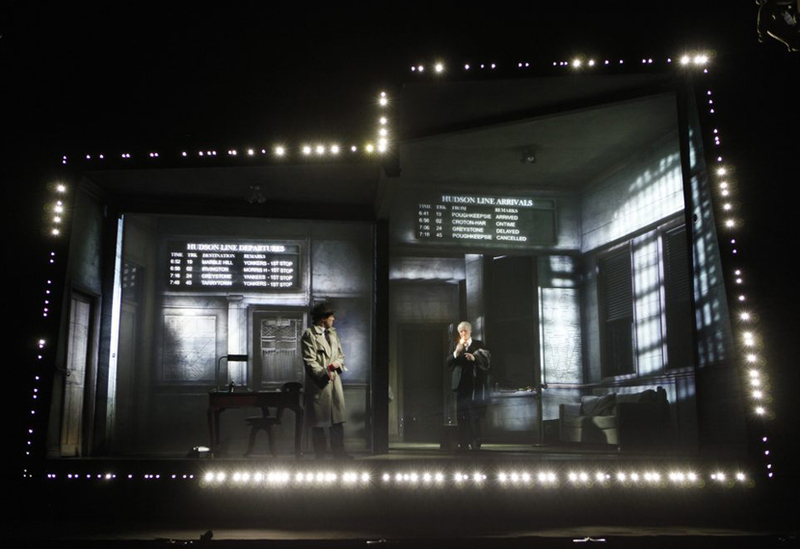 A steel palette-based stage was raked to give an unusual perspective which together with the diagonally cut portal added various oblique angles to the scene. 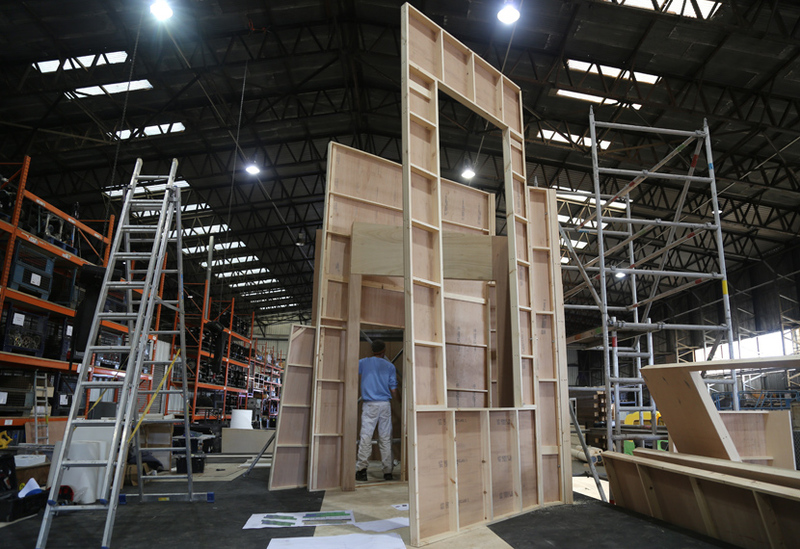 Tracking walls and gauzes were used to create further effects and we built three trap doors in the stage floor including a gas shut trap to allow for the moving of props. 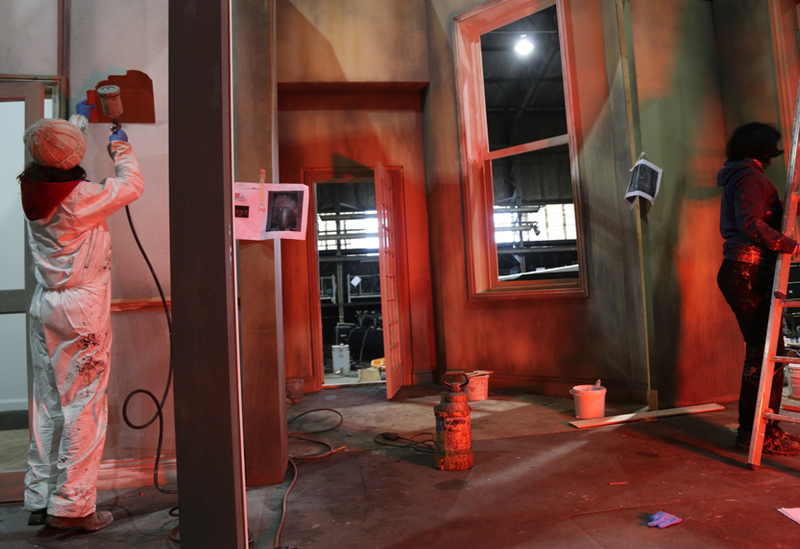 We also manufactured various props such as a ‘trick’ sofa and features such as an entire bathroom, scenically treated to appear layered with grime. 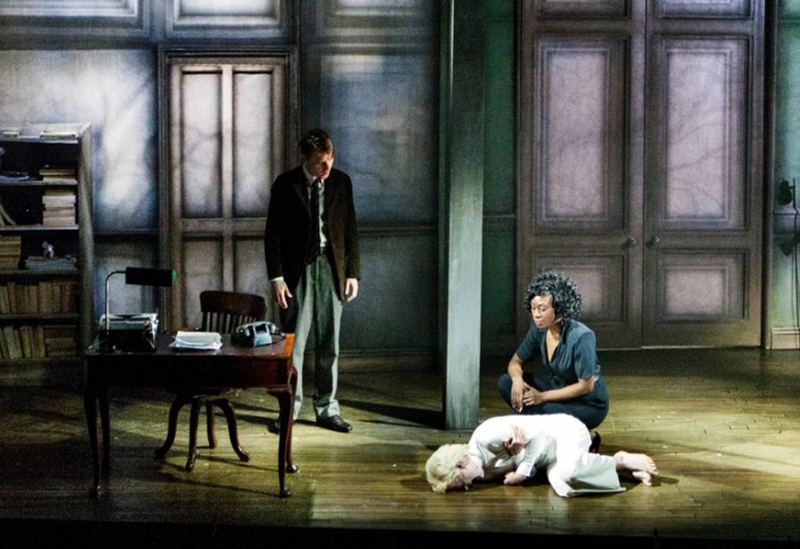 The set was constructed to fit into different venues, opening at Home in Manchester before moving to the Lyric Theatre at Hammersmith.